Luggage rack off of a 1973 honda ct90. It has light surface rust, but other than that is in great shape. No dents at all. ALL PARTS ARE OFF OF 1971 HONDA CT90. THERE IS NO PROBLEM THAT CAN'T BE RESOLVED. ALL PARTS ARE USEABLE. MILES 3144. ALL PARTS OFF OF1969 HONDA CT90 . I do not have a title for it. 79 CT90 Trail 90. Condition is very nice, close to excellent. Rear fender is good, no dents or tweaks I can spot. Normal scratches and scuffing, nothing bad at all. There is one big chip on the downtube about 3/8" or so, see pic. Badge manufacture date 9/74. It has scrapes and scratches from normal wear. This is parts only, NO papers. ALL PARTS ARE OFF OF 1970 HONDA CT90. THERE IS NO PROBLEM THAT CAN'T BE RESOLVED. ALL PARTS ARE USEABLE. MILES 3824. 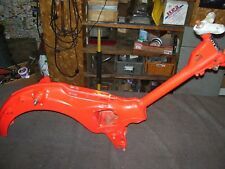 1966 Honda CT90 CT200 CT 90 CT 200Frame and Swing arm FREE SHIPPING !!! ALL PARTS OFF OF A 1978 HONDA CT-90 VIN# ENGINE # n/a MILES-3839.00. ALL PARTS ARE USED BUT IN WORKING ORDER OR REBUILDABLE. WE WILL DO OUR BEST TO MAKE YOU HAPPY. ALL PARTS OFF OF 1973 honda ct-90 VIN#CT90-1427309 ENGINE # n/a MILES-6740.00. ALL PARTS ARE USED BUT IN WORKING ORDER OR REBUILDABLE. WE WILL DO OUR BEST TO MAKE YOU. ALL PARTS OFF OF 1969 honda ct-90 VIN ct90204893 ENGINE # n/a. ALL PARTS ARE USED BUT IN WORKING ORDER OR REBUILDABLE. WE WILL DO OUR BEST TO MAKE YOU. 1088 Communication. 1070 Item as described. Shock stud threads are good. No dings or dents. No cracks, welds, or repairs. Removed From: 1966 Honda CT90 with miles. 50, 100, 125, 185, 250, 350, 400, tm, dr, rm. WE DON'T KNOW, WE ONLY DISMANTLE. WE DON'T KNOW IF A PART HAS BEEN CHANGED OUT OVER THE YEARS SO COMPARE OUR PICTURES TO YOUR PART. IF IT DOESN'T LOOK LIKE YOURS IT WILL. Honda XR75 1973, 1976. Honda CT90 1976, 1977, 1978, 1979. Honda C70 1980, 1981. Honda CL125S 1973. Honda CL125S1 1974. Honda CT90K5 1974. Honda CT90K6 1975. Honda TL125 1973. 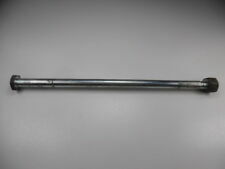 This is the swing arm pivot bolt from a Honda ct90 trail 90. Bolt is used but in good working order. Nut threads on the end of the bolt easily. 1088 Communication. 1070 Item as described. HONDA C50 C70 C90 CL70 Z50 CT70 S65 S90 CL90 SL70 XL70 C100. COMPLETE 19 ENGINE SCREWS BOLTS. We have warehouses in the USA, CA, and AU. Great Bilge Pump Float Switch 12V 24V or 32V For Boat Yacht White Sea Usefull. Detail image. 2Pieces Stainless Steel Beverage Cup Drink Holder Marine Boat Truck Camper RV. HONDA C50 C70 C90 CL70 Z50 CT70 S65 S90 CL90 SL70 XL70 C100. COMPLETE 19 ENGINE SCREWS BOLTS. Quantity: 19pcs. WE CANNOT SEND ITEM TO FRANCE. We are very sure, we can resolve every your problem in goods. ( NOT INCLUDE WE CANNOT SEND ITEM TO FRANCE, ITALY AND EAST-WESTERN COUNTRIES). Headlamp Replaceable 6V Bulb fits Honda CT90 K0 CT200, etc. 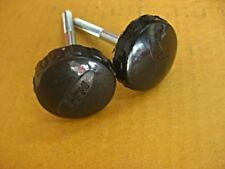 OEM Swing Arm Bush Pivot fits Honda CA105 C50 C70 CT90, etc. Genuine Honda part. 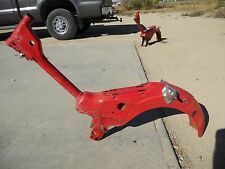 Swing Arm Bush Pivot fits Honda CA105 C50 C70 CT90, etc. Crash protector, fashion and sharp color, makes you sharp in any occasion, fully adjustable to suit your riding style, best modify partner. Material: Aluminum Alloy T6061 Rubber. We will reply you within 24- 48 hours. WE CANNOT SEND ITEM TO FRANCE. We are very sure, we can resolve every your problem in goods. ( NOT INCLUDE WE CANNOT SEND ITEM TO FRANCE, ITALY AND EAST-WESTERN COUNTRIES ). There are several fashionable and sharp colors for choices. It is the best modify partner, so don't hesitate to own it. 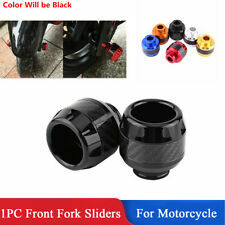 Exhaust crash protector, fashion and sharp color, makes you sharp in any occasion, best modify partner. This crash pad is designed for preventing your motorbike from crashing and scratching when racing or fast-speed driving. There are several fashionable and sharp colors for choices. It is the best modify partner, so don't hesitate to own it. 6pcs Blue Stainless Steel Spring Hook Scooter Motorcycle Exhaust Pipe Muffler Springs Hooks Motorcycle Scooter Accessories. 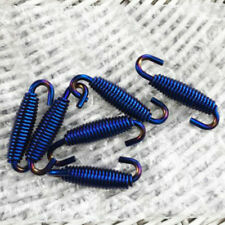 6pcs Blue Stainless Steel Spring. Stainless Steel Spring Hook Scooter Motorcycle Exhaust Pipe Muffler Springs Hooks Motorcycle Scooter Accessories. Hexagon Anodized Fork Preload Adjusters Kit. 2 X Preload Adjusters. Two preload adjusters complete with stainless steel fasteners and Hex key. (location nut size: 14mm ). Size: 14mm (Inner Side to Side). Crash protector, fashion and sharp color, makes you sharp in any occasion, fully adjustable to suit your riding style, best modify partner. 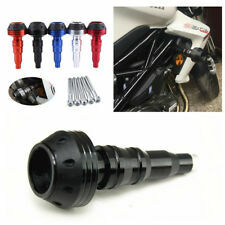 Universal for most models of motorcycles, such as for Honda KTM Motocross Kawasaki zx10r z800 Yamaha fz6 r6 Suzuki gsxr, etc. Product Application: 32mm. Extension / lighting extension rod. Material: T6063 aluminum alloy. Crash protector, fashion and sharp color, makes you sharp in any occasion, fully adjustable to suit your riding style, best modify partner. Material: Aluminum Alloy T6061 Rubber. Color: Red. We will reply you within 24- 48 hours. Exhaust crash protector, fashion and sharp color, makes you sharp in any occasion, best modify partner. Material: Aluminum Alloy Plastic. There are several fashionable and sharp colors for choices. It is the best modify partner, so don't hesitate to own it.